Welcome to the Coastal Forests. 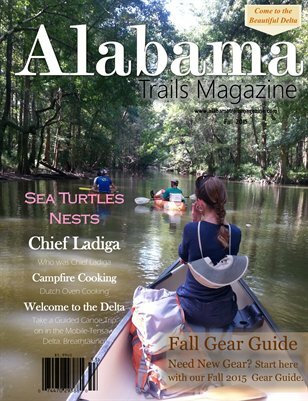 Come along with us as we introduce you to the Mobile-Tensaw Delta, Sea Kayaking and Gulf Coast Fishing, Campfire Cooking, and so much more! Looking for a great hike this Fall? Welcome to the Sipsey Wilderness Forests. From the coast to the mountains we are covering them all! Welcome to our Fall 2015 Edition!